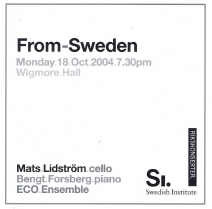 "From Sweden: the cream of Swedish and British musicians playing Swedish and British music in around 30 concerts over 14 months"
This ambitious long-running festival was previewed with a recital by Anne Sofie von Otter in April, and now it has been launched before a small audience at the Wigmore Hall by its artistic director, cellist Mats Lidström. Perhaps his administrative responsibilities were weighing on him, but he did not impress as, for example, recently at Blackheath. He began by introducing to British audiences an indulgent youthful cello sonata by Edvin Kallstenius (1881-1967), with Bengt Forsberg (who upstaged and nearly drowned him at times), and which failed to whet the appetite for more from that pen. Nor did Stanford's Serenade for instrumental nonet (Op 95) encourage a need for revival and reassessment of that influential teacher-composer as suggested to us. His dominating influence may in fact have contributed to British music's lagging behind Europe's well into the last century? It is amiable, inconsequential stuff, Brahmsian of course, needing far more fdirections and ocussed playing to hold the attention than was on offer from a group of the English Chamber Orchestra . Stronger by far is the young Berwald's Grand Septet; there is a recommendable Hyperion disc of it by the Gaudier Ensemble (CD 66834); hear excerpts on Amazon. For further information about this lengthily spread-out festival, see the From.Sweden website, but beware; I haven't found out how to disable the prolonged tuning-up accompaniment to the text which greets you! Time will tell if the ambitious scheme succeeds, but this was not a good start. The music did not make for a good mix, and programming may prove the festival's Achilles Heel? Nearing the end of this long running festival, tonight's was the most satisfying of the several concerts we have attended. 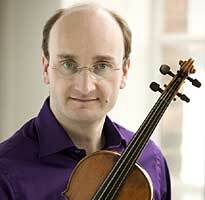 Audiences have grown, but not filled Wigmore Hall, and it has been too diffuse to make a real mark, I fear. 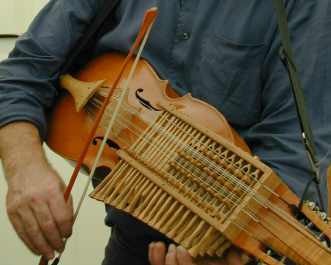 First in this mixed programme of music for strings, a group of folk music pieces with the intriguing keyed-fiddle depicted, an alluring national instrument, its palette enriched by sympathetic strings, and enhanced by the swelling support of accordion which matched its colourful tone quality. Refined viol playing by the Phantasm quartet culminated with four of the young Purcell's miraculous Fantasias, which inevitably eclipsed pieces with Swedish connections by Düben and the more obscure Lazaro Lazarin (Lazzarini) whose splendid name (but with little known about him) graced the programme. As before, the organisation of the design and type-setting (black on dark grey is not good for reading in dim light!) left us not always sure what we were hearing when. Most enjoyable of all were Andrew Manze's solos, introducing us to Assagi by the 'father of Swedish music', Johann Heinrich Roman (1694-1758). These served to remind us that J S Bach's acknoweldged pre-eminence has caused some fine music for unaccompanied violin and cello to be overlooked and not rediscovered by string players, to the impoverishment of recital programmes. Manze never fails to take opportunities to talk with audiences, and he is always illuminating. He came in bubbling to continue backstage interval talk, and demonstrated how Roman might really have played the disconcertingly plain ending of one of his pieces. Roman's passagi are fanciful, wayward music of great charm; there's a CD to be made there.